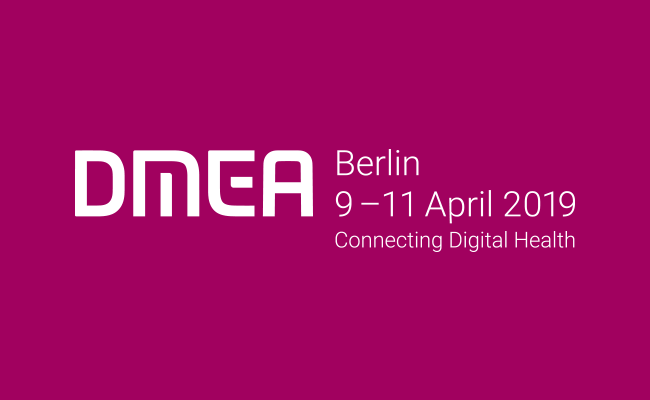 For the second time BELINTRA and XCELSITAS will be present at the international trade fair DMEA (formerly conhIT) taking place in Berlin, Germany from April 9th until April 11th 2019. Both companies have a joint booth (Hall 1.2 – E-110) where they will be showcasing mobile IT solutions for healthcare. Products on show will be Roll-IT, Medicart Drawers with IT and Medicart Drawers Small with IT. Each of these products provides mobile access to the Electronic Patient Record and the possibility to update patient information instantly. The event – with congresses and academic sessions – runs from Tuesday to Thursday with daily access to the trade show between 11:00 a.m. and 06:00 p.m.
We look forward to welcoming you and bringing you up to speed on the latest innovations in mobile IT solutions for healthcare.